Collections>Vendetta>Silver bracelet with reptile leather. Home > Collections>Vendetta>Silver bracelet with reptile leather. Silver bracelet with black reptile leather. 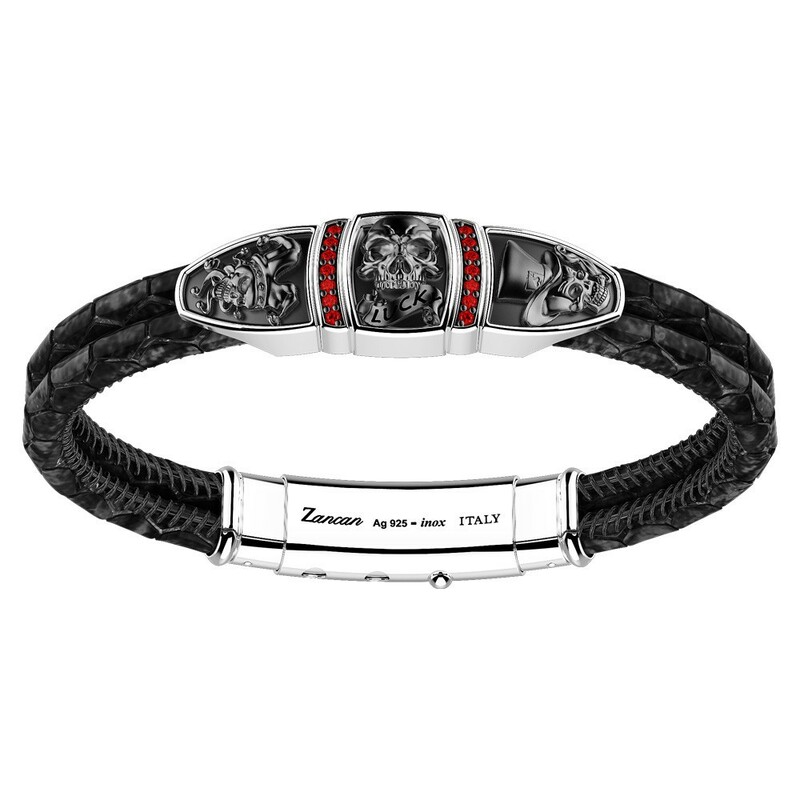 Black skull with red spinels. Gr 9,60 in 925 silver.